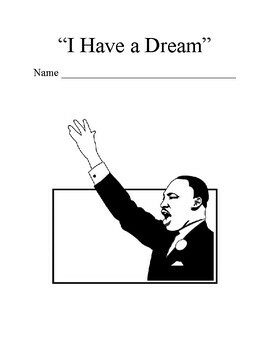 This is a close reading activity I used with sixth grade students using Martin Luther King Jr.'s "I Have a Dream" speech. Students compare/contrasted the audio version of the speech to the written version. 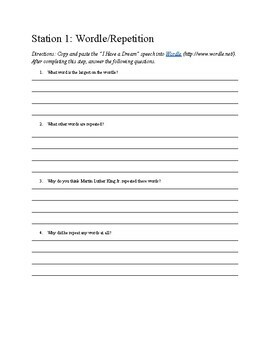 The main purpose of this activity was to look at the persuasive elements in the speech and analyzing the two versions, and creating an argument on which version was more persuasive. The students read the speech independently looking for different characteristics and completed six different center activities where they looked at the versions more closely. The activities included a wordle, chunking the different sections of the speech, identifying unknown words, reading some nonfiction articles related to the time period, and identifying persuasive elements. I have included the different centers activities and the overall activity directions.